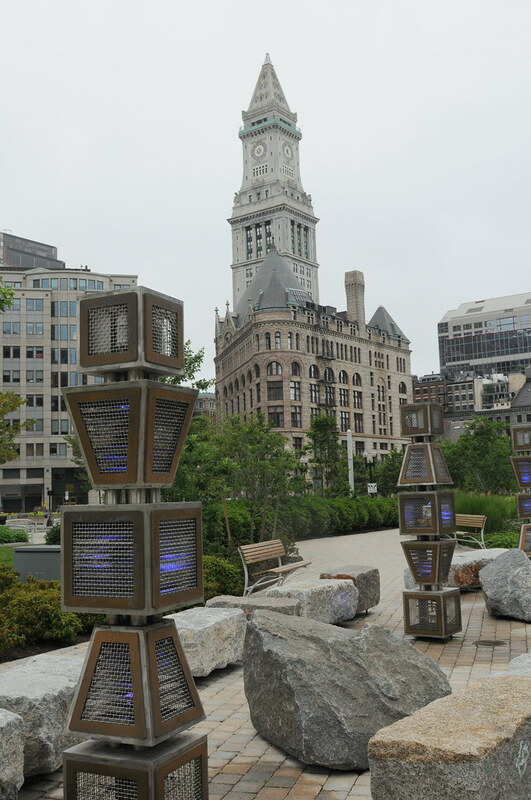 These cool sculptures caught my eye as we walked along the Boston Greenway. I later learned that the art includes a fog feature (probably uses dry ice). The next time I go to Boston, I need to walk the Greenway at night.